Milton Toyota > Toyota Corolla > Even More Corolla to Love! The all-new 2020 Toyota Corolla is better than ever – and offered at suggested prices that mean Canadians can have more of what they love, including greater value for their driving dollar. 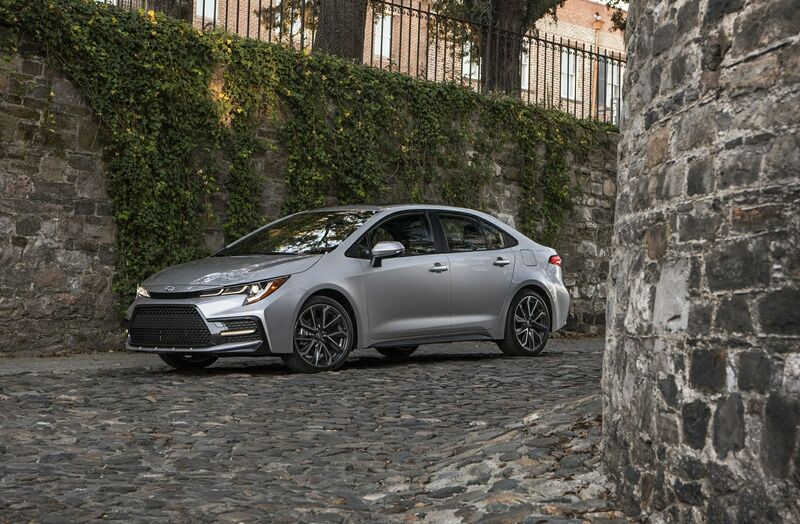 The 2020 Toyota Corolla Hybrid features a six-speaker, 8” Display Audio system including Toyota Connected Services, Scout® GPS Link, Apple CarPlay™ compatibility, Bluetooth® connectivity, voice recognition, steering wheel-mounted controls, and more. Other standard features include automatic air conditioning, 15” alloy wheels, premium fabric seating, adjustable front seats, a 60/40 split fold-down rear seat for additional cargo versatility, 7” digital speedometer the Toyota Smart Key System with Push Button Start (with locking/unlocking sensors on the driver door, front passenger door, and trunk), the Toyota Blind Spot Monitoring System, power adjustable and heated exterior mirrors, and standard Toyota Safety Sense™ 2.0 with added benefits of Full-Speed Dynamic Radar Cruise Control and Lane Tracing Assist. The 2020 Toyota Corolla Hybrid Premium Package adds a leather-wrapped heated steering wheel, heated front and rear seats, eight-way power adjustable driver’s seat with lumbar support, ambient lighting, and the Qi wireless charging system for select personal electronics.